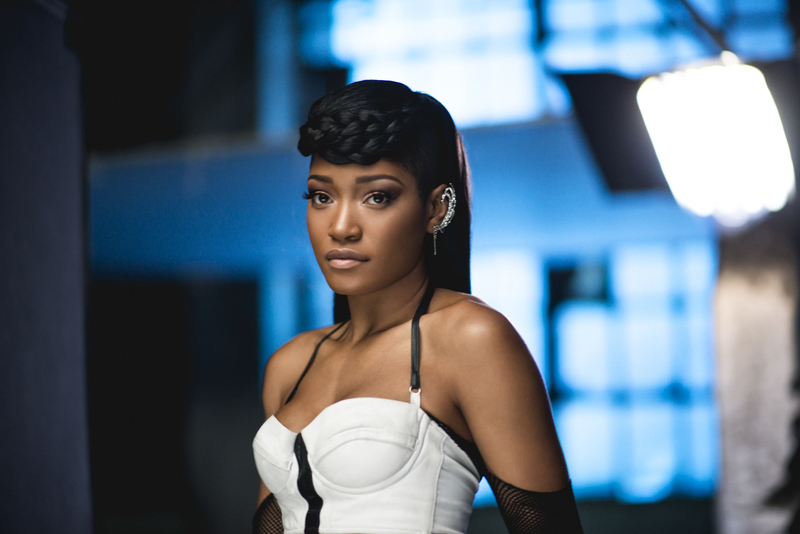 WASHINGTON, D.C.-- Film, television and stage actress Keke Palmer will receive the NAB Television Chairman�s Award during the NAB Show Television Luncheon. The luncheon will be held Monday, April 18 at the Westgate Las Vegas Resort and Casino. Palmer began her career with a breakout role in the 2006 film �Akeelah and The Bee,� for which she won an NAACP Image Award. She later starred as the title character in the hit Nickelodeon series �True Jackson, VP,� for which she was awarded an additional four NAACP Image Awards for Outstanding Performance in a Youth/Children�s Program. She became the youngest talk show host in history with her show �Just Keke,� and also made history as the first African-American Cinderella in Rodgers and Hammerstein�s iconic musical on Broadway in 2015. Most recently, Palmer starred in FOX�s production of �Grease Live!� as Marty and as Zayday in the network�s hit series �Scream Queens,� where she will return for its second season this fall. Additionally, Palmer will reprise her role as Peaches for the fifth installment of the box office mega-hit �Ice Age: Collision Course,� which opens this summer. Palmer debuted her first single and music video, �Enemiez� featuring Jeremih, on March 21, from her forthcoming album for Island Records. Palmer gives her time and resources to support various charities, including: the Boys & Girls Clubs of America; the Girl Scouts; Get Schooled; and Urban Farming programs. In addition, Palmer has worked with the Young Women Christian Association�s �Saving Our Daughters� initiative, supporting the empowerment of young women across the United States. Established to recognize individuals for significant achievement in one or more specific art disciplines in television, the NAB Television Chairman's Award first debuted in 2009 with four-time Emmy and two-time Golden Globe-winning actor Kelsey Grammar as the recipient. The last recipient was Tracee Ellis Ross, star of ABC�s �Black-ish,� in 2015. The luncheon will also include the induction of Chuck Lorre, executive producer of �The Big Bang Theory,� �Mom,� and �Two and a Half Men,� to the NAB Broadcasting Hall of Fame.